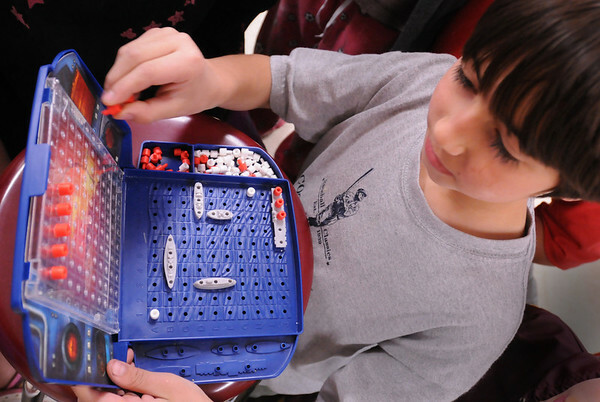 Newburyport: Eli Gobbie strategizes in a game of Battleship with classmate Nichollette Pineda, both 9, in Eileen Whitney's third-grade class yesterday. Children at the Bresnahan School chose different activities for indoor recess due to the inclement weather. Bryan Eaton/Staff Photo Newburyport News Thursday May 28, 2009.